hours of the mayor's order to "Follow the law...Slow down." UPDATE: Ben Bradley aired a follow-up to his May report on Wednesday, September 24th. He was kind enough to invite CWB to appear in his report. Due to the anonymous nature of our blog, we had to decline. Two days after ABC7's Ben Bradley reported that Mayor Rahm Emanuel's 2-car caravan had been regularly caught speeding and running red lights by the city's automated citation systems, Emanuel addressed the issue at a May 7 press conference. "Follow the law. Nobody's above the law," the mayor instructed his drivers, "Slow down. Full stop." CWB can now report that within three hours of the mayor's statement, both of his caravan cars received speeding tickets for blowing past Douglas Park at 42 miles an hour—more than 11 MPH over the posted limit. 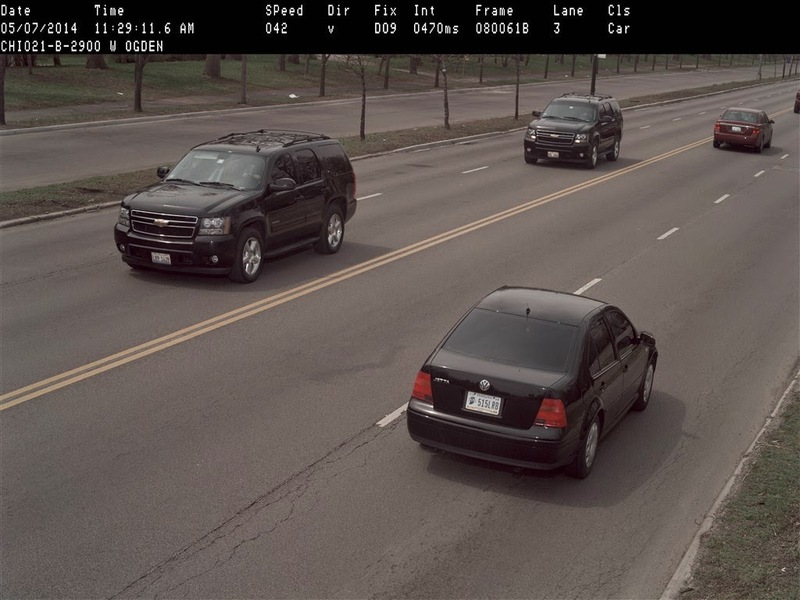 Our review of city records found that enforcement cameras have captured the mayor's caravan in five more violations this summer—three red light violations and two speeding violations near city parks. The mayor's cars are registered to and operated by the Chicago Police Department. All of this summer's tickets have been dismissed, not paid. Click the yellow-highlighted violations below to watch video.